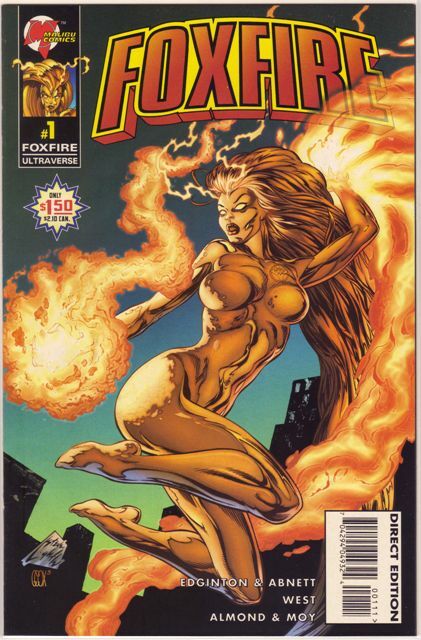 Foxfire was a short-lived series from the relaunch, spinning out of the Phoenix Revelation stuff. 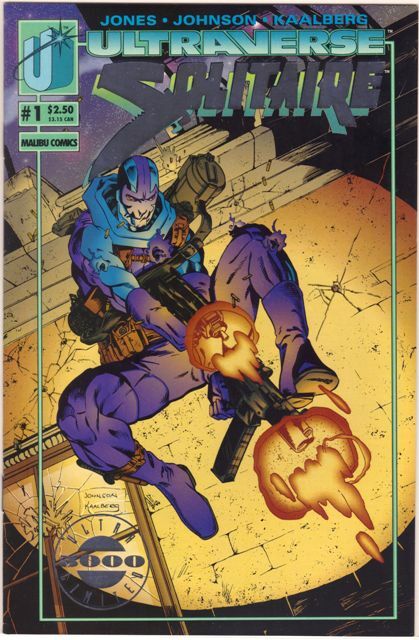 It mixed and matched with some Marvel characters, notably the Punisher. 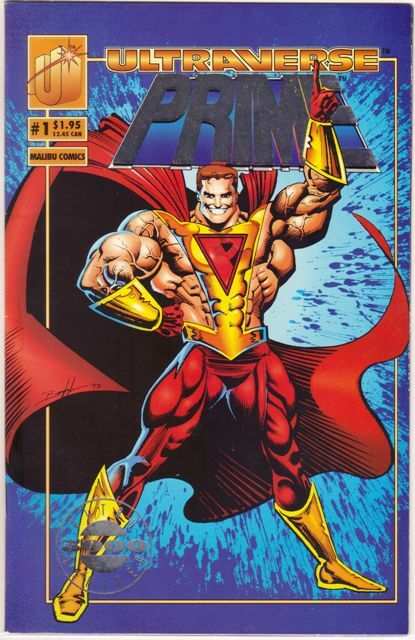 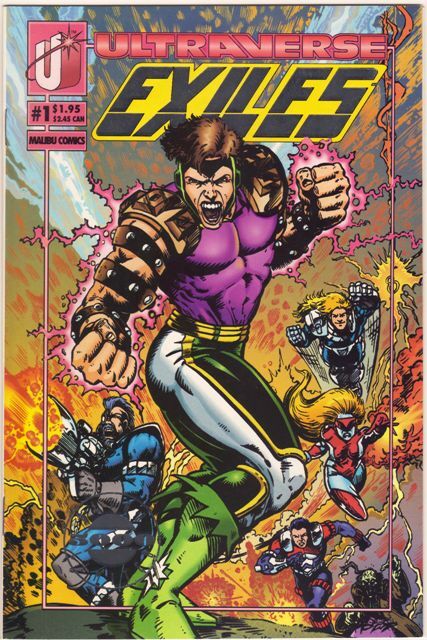 All I have to say is that the Ultraverse Punisher is a complete doosh, with a stupid ponytail and impossibly tight pants that reveal the fact he has no man parts. 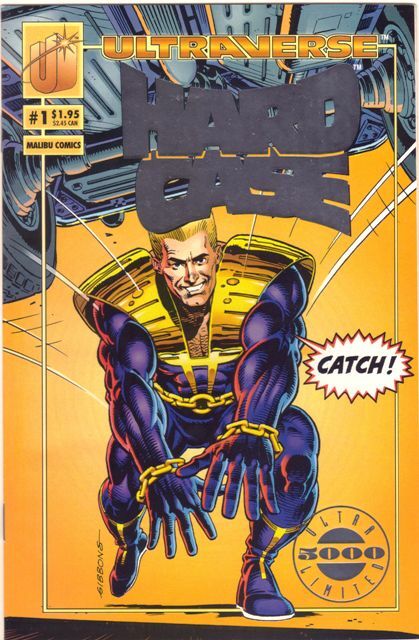 No wonder he wanted to kill everyone. 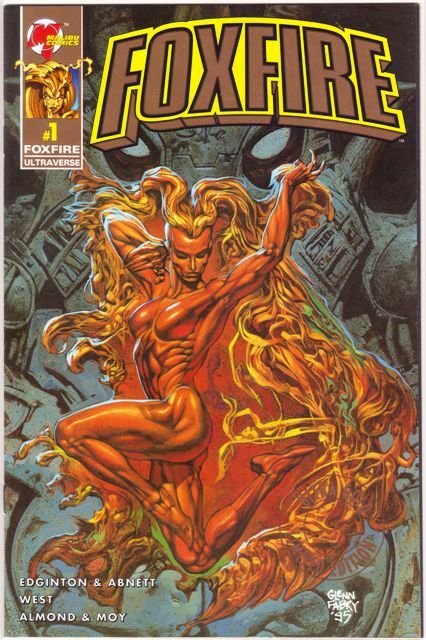 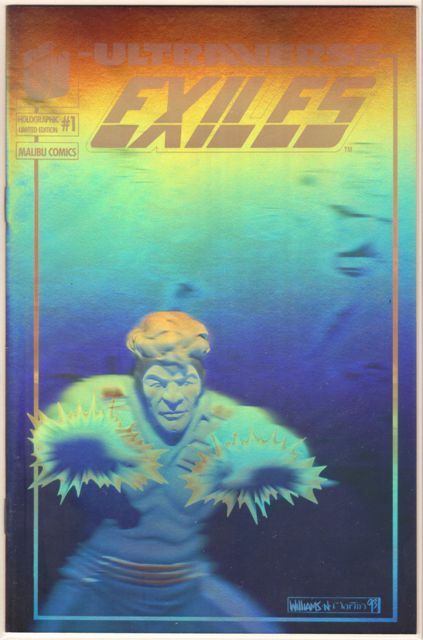 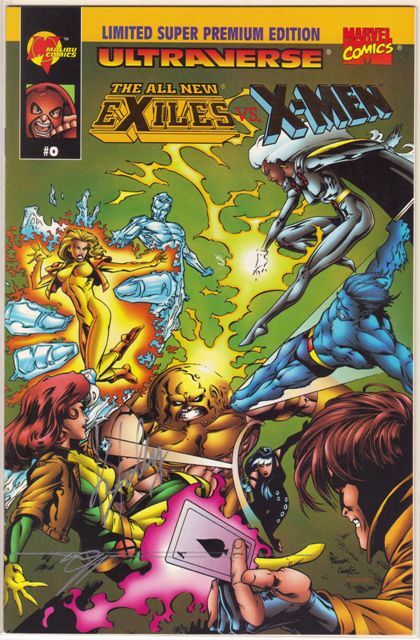 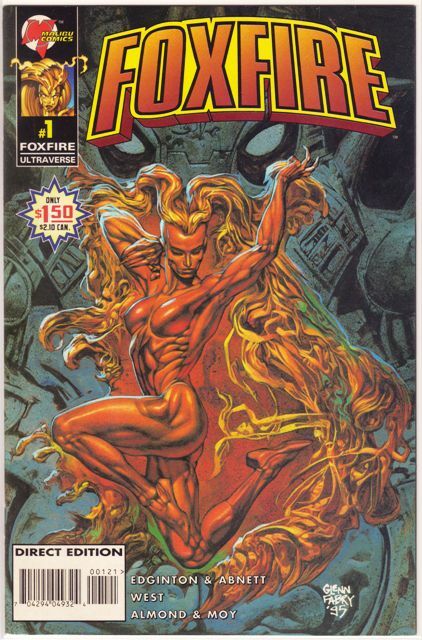 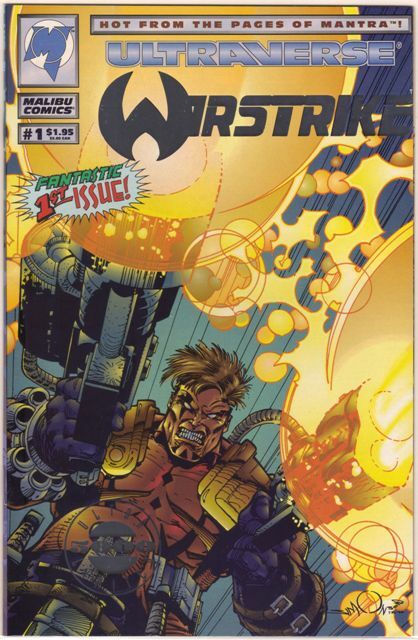 The first issue of Foxfire had a couple of variant covers. 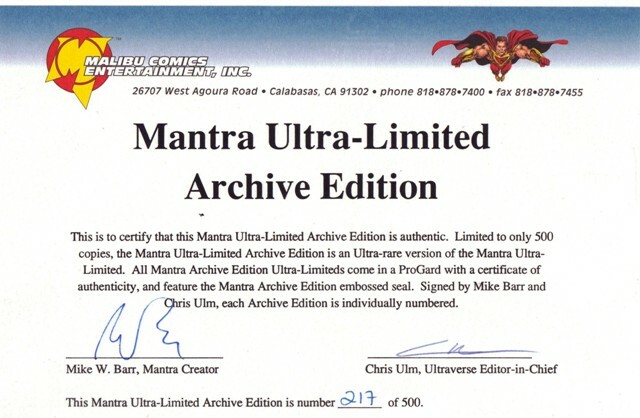 One was just your standard variation, but the other had an “Ultra Gold” stamp and a gold logo. 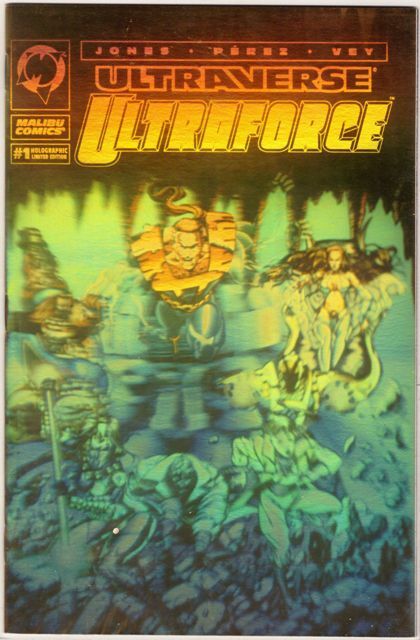 I suppose this was the new version of the Ultra 5,000 series, but I bet the print run was a lot lower. 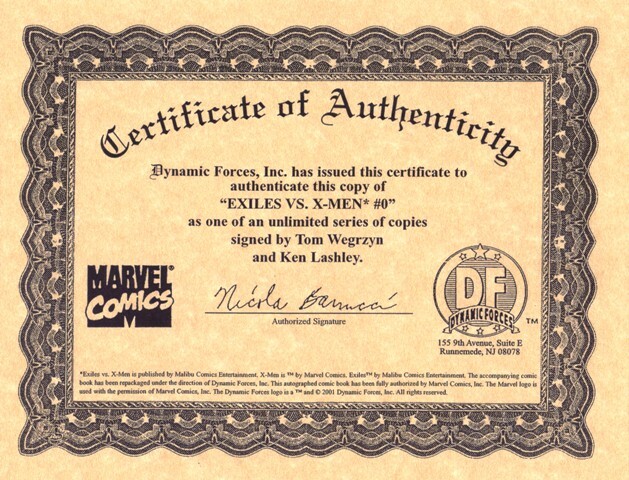 They’re easy to pick up on eBay and online comic shops, rarely for more than a buck or two. 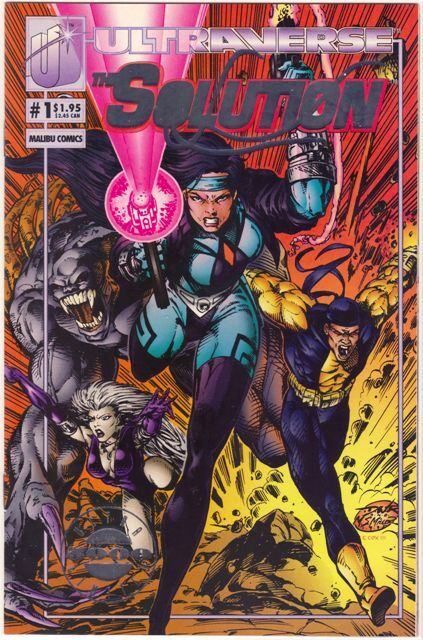 In fact it’s pretty easy to get the full four-issue series as part of a larger lot … I see these all the time. 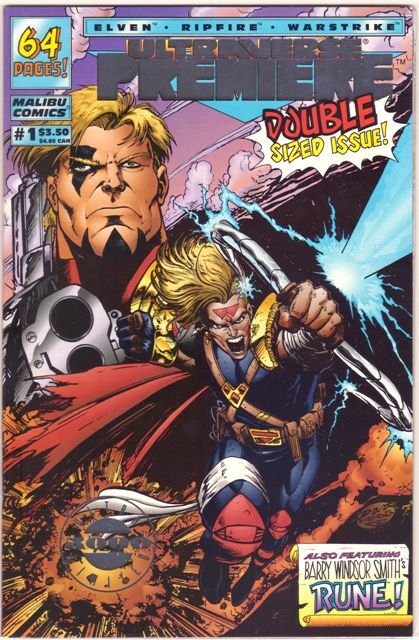 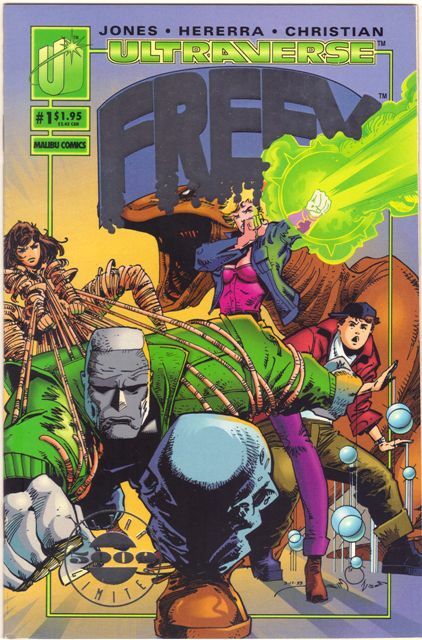 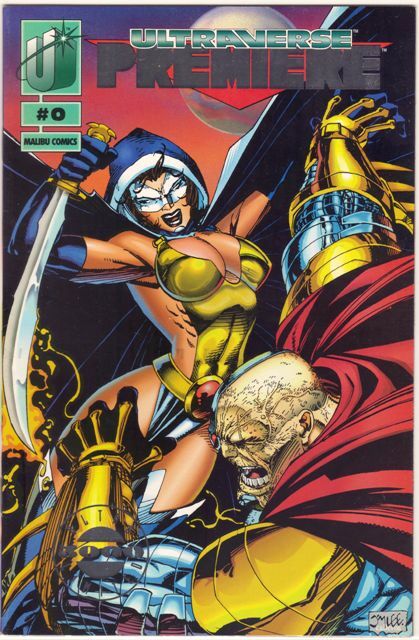 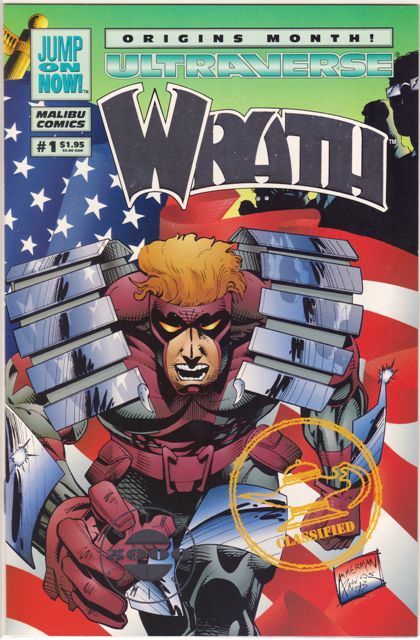 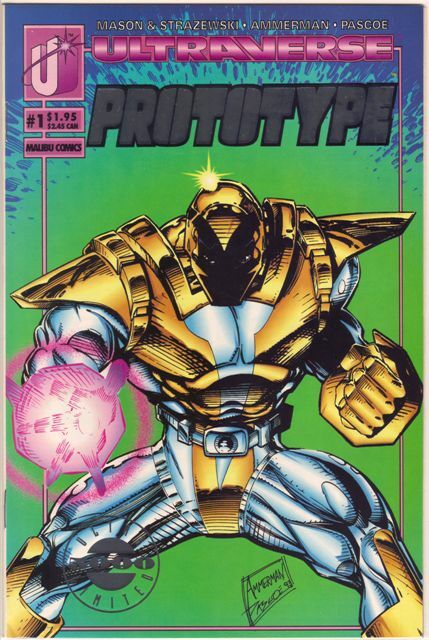 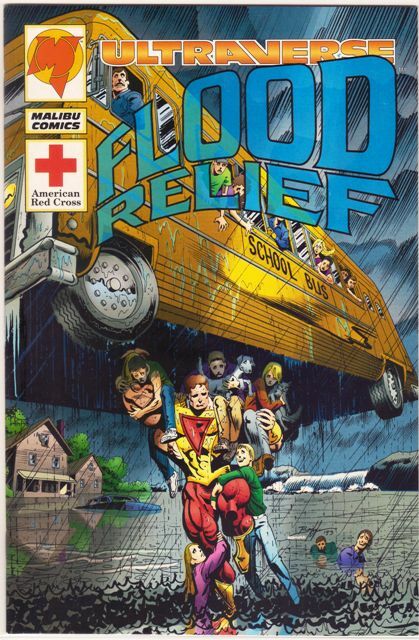 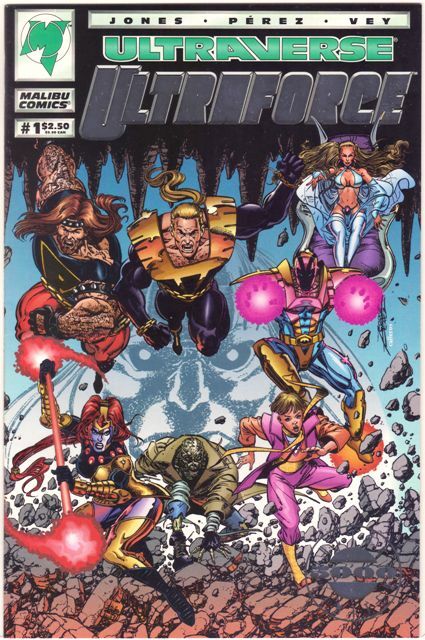 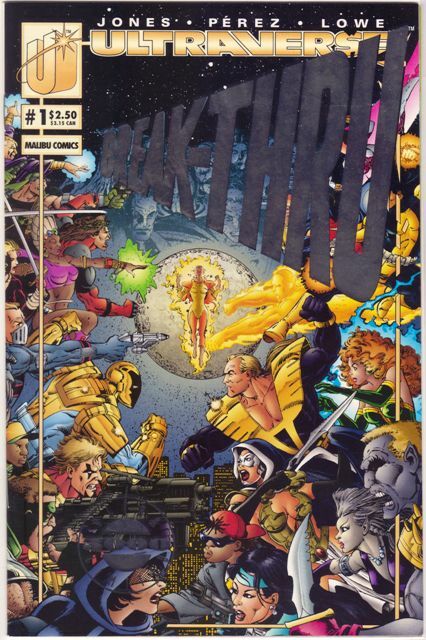 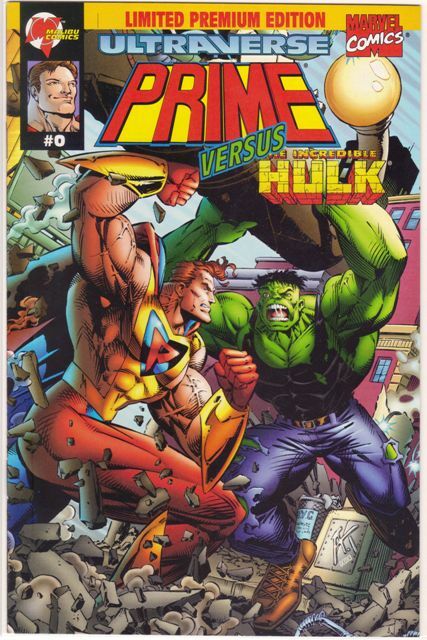 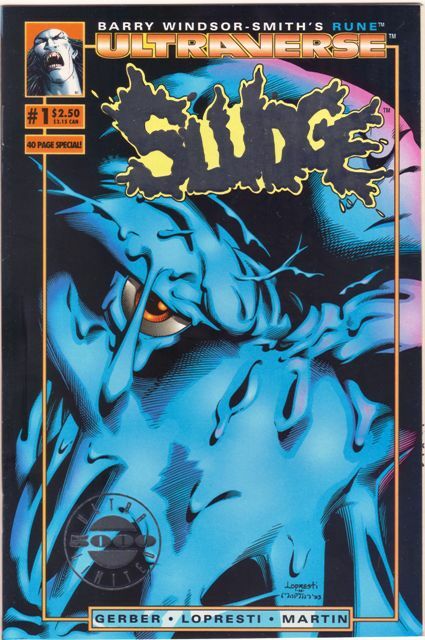 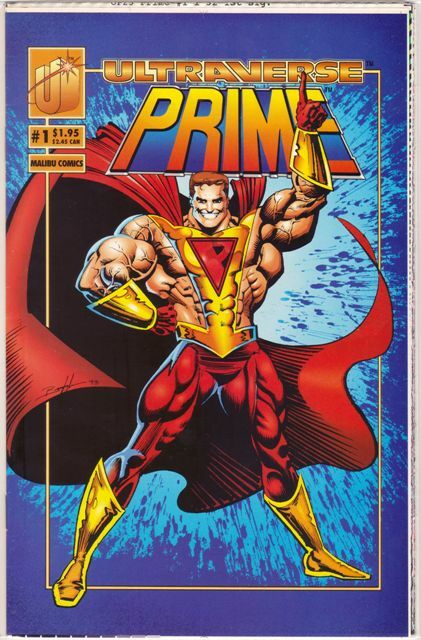 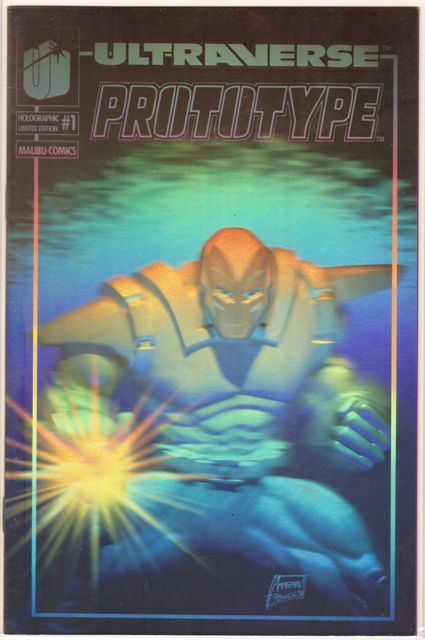 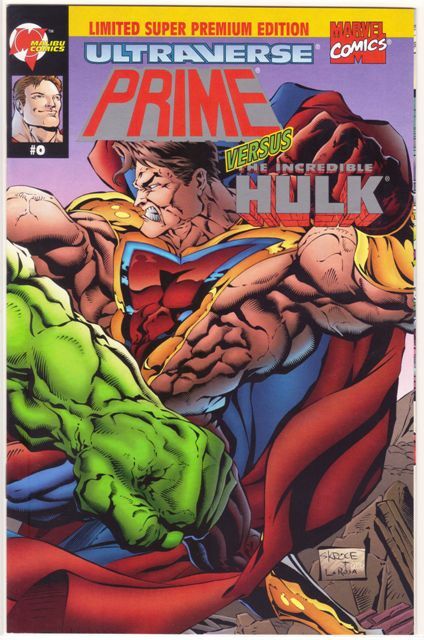 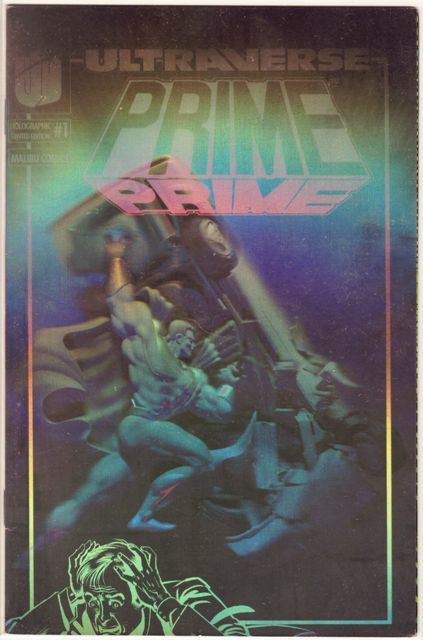 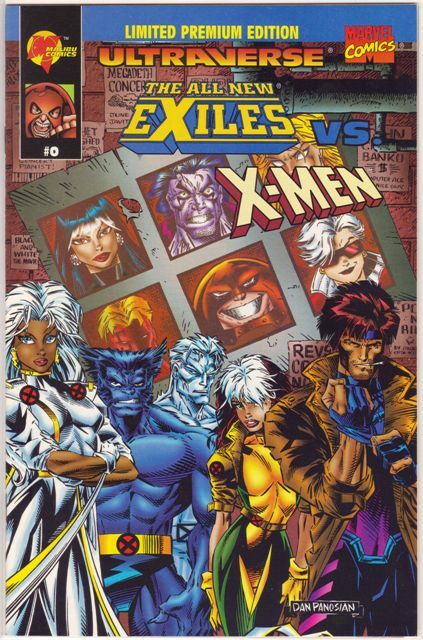 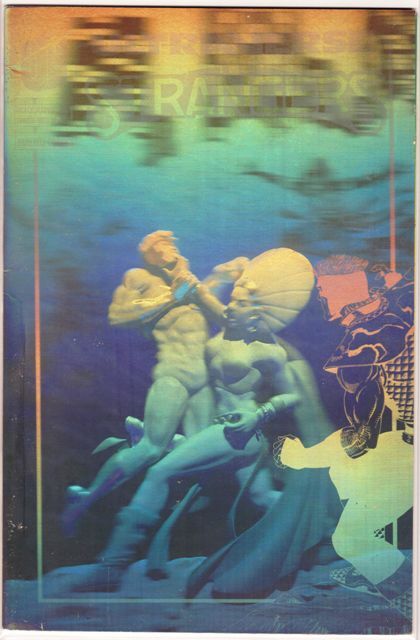 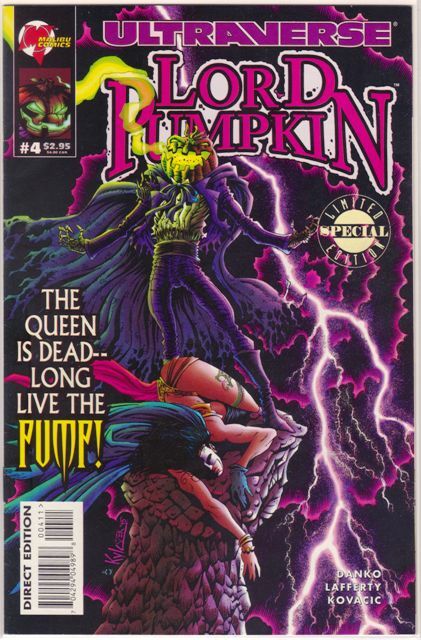 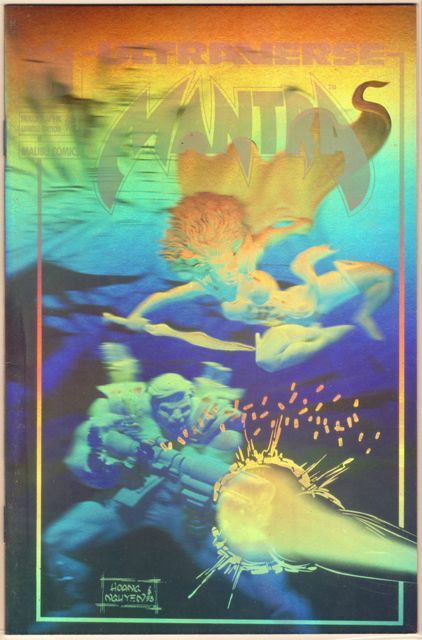 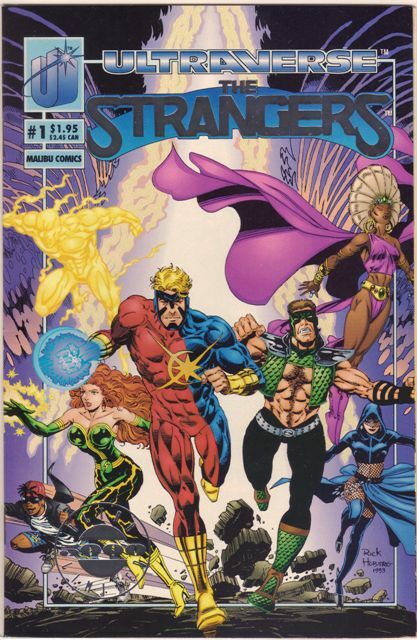 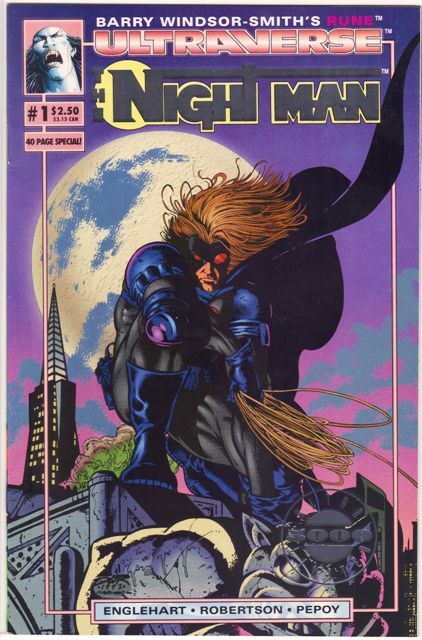 This was a special comic book produced to benefit victims of a massive flood in the Midwest in the summer of 1993. 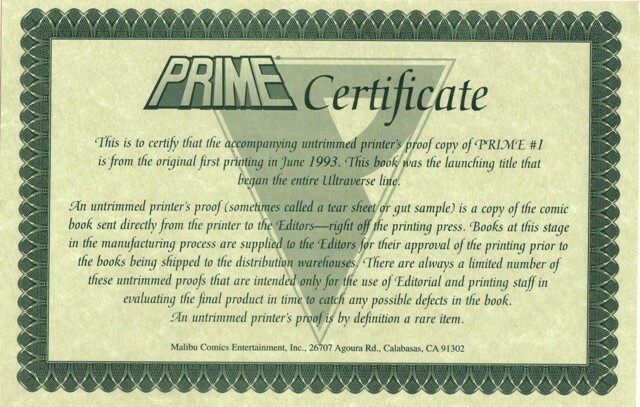 There were 15,000 books printed, each sold for a minimum contribution of $5 (Malibu absorbed all the production costs) to the American Red Cross. 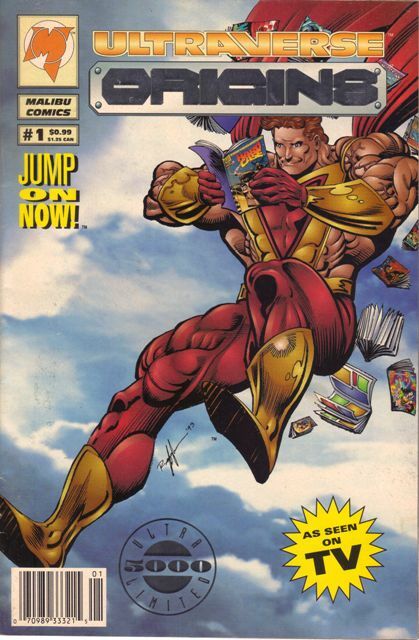 And you could only get the book through the mail (coupons were printed inside the regular comics). 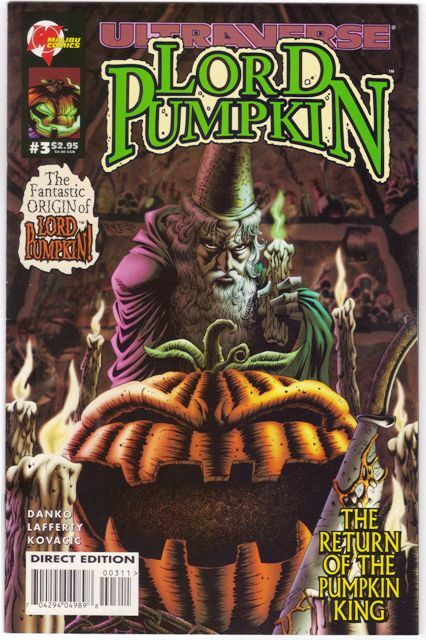 It’s a fairly common book, although a lot of auctions on eBay have a BIN that’s too high. 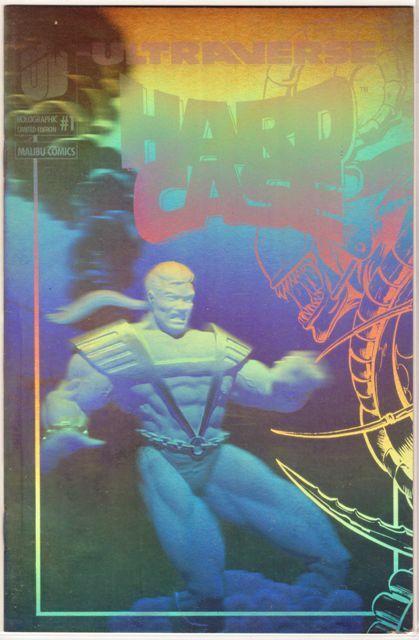 This one’s easy to get inside larger lots of books. 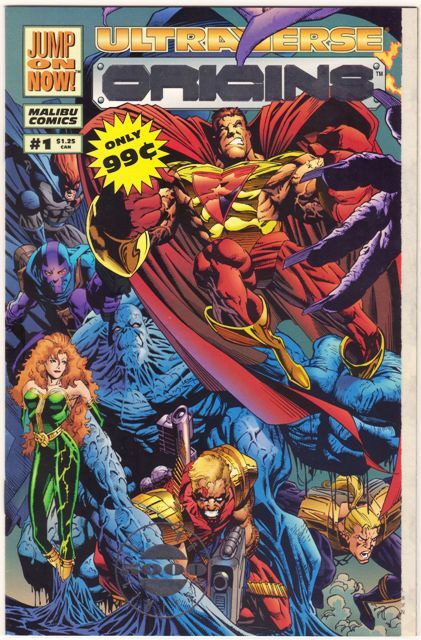 It was for a great cause, but this is still a fairly common and inexpensive book today. 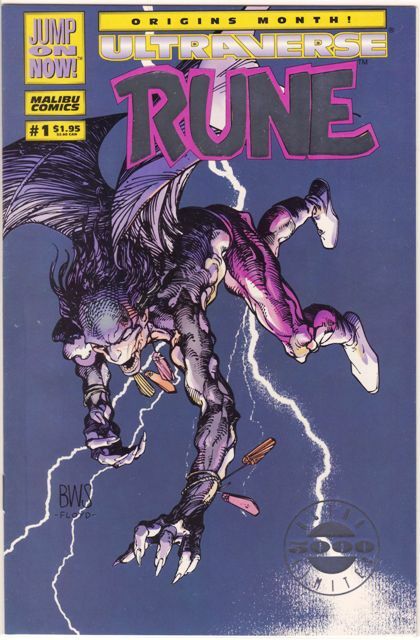 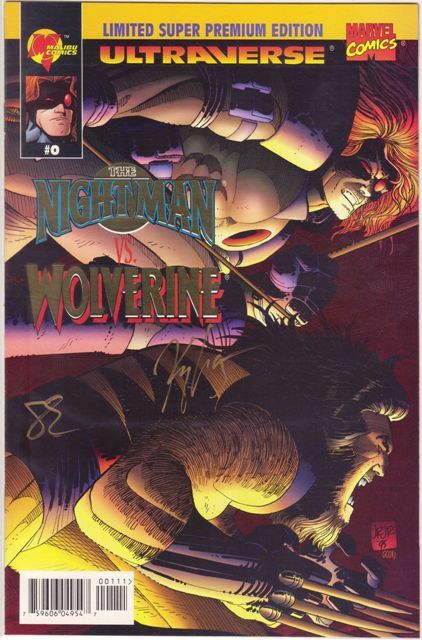 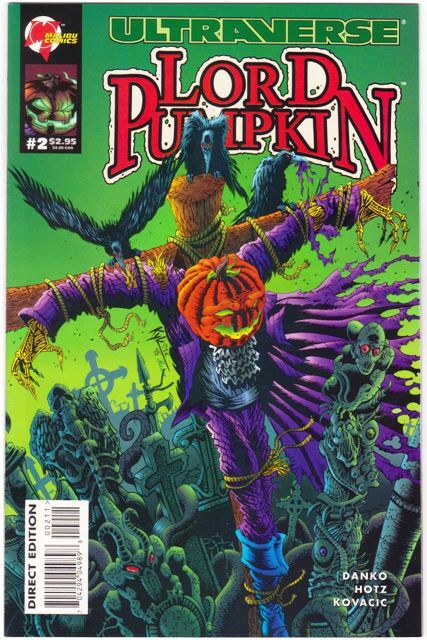 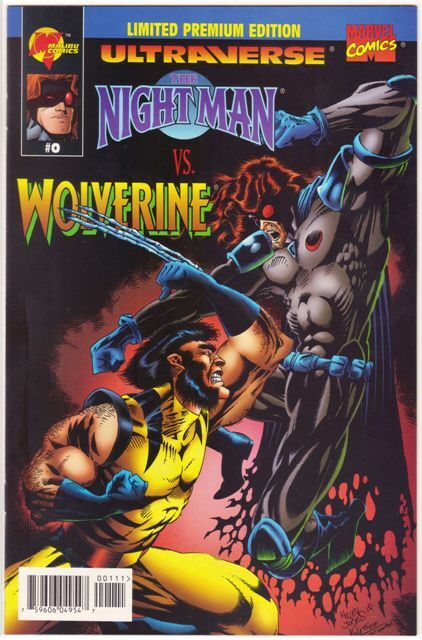 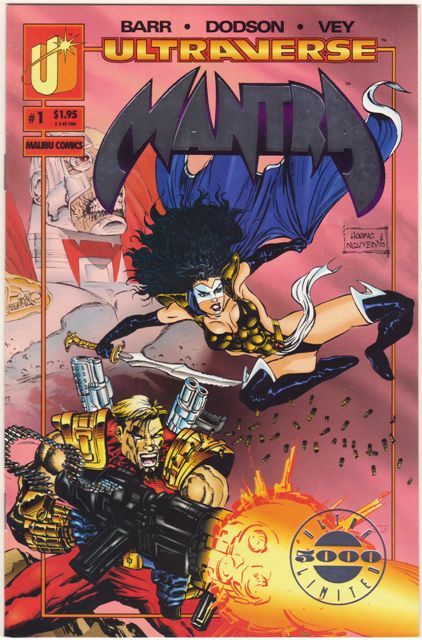 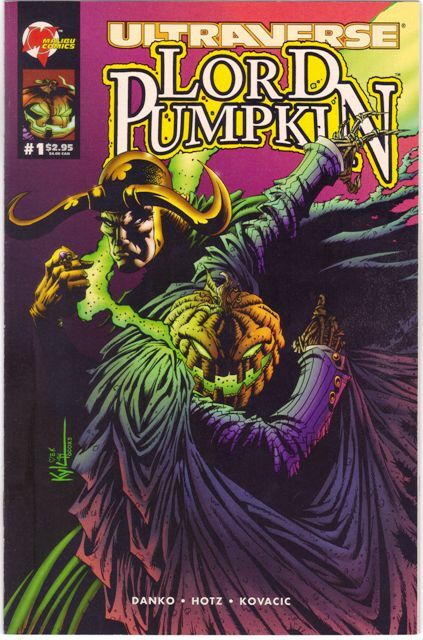 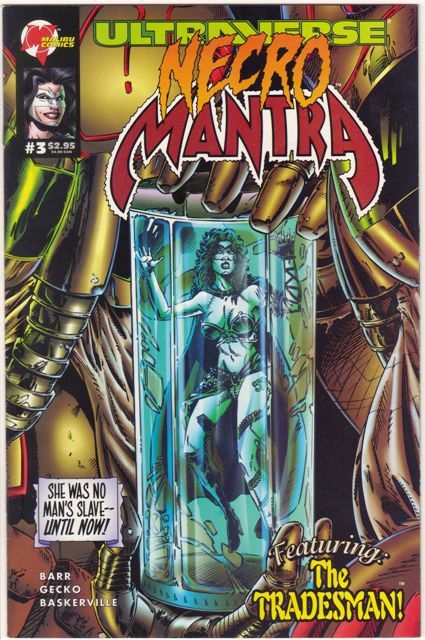 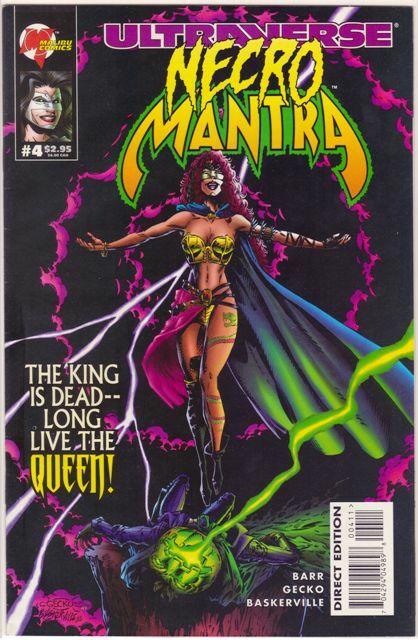 A side note: I forgot to put in a bid a few years back when the original cover art by Norm Breyfogle went up for sale on eBay. 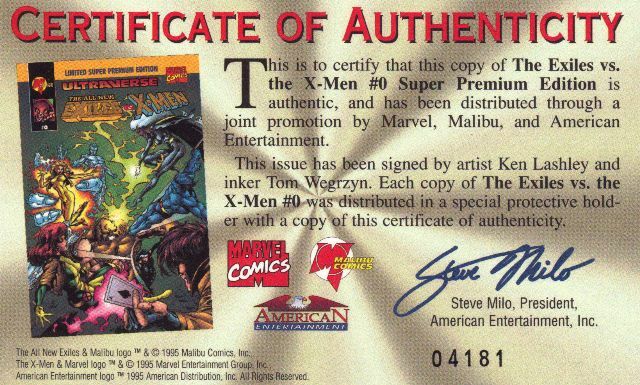 It sold for $70. 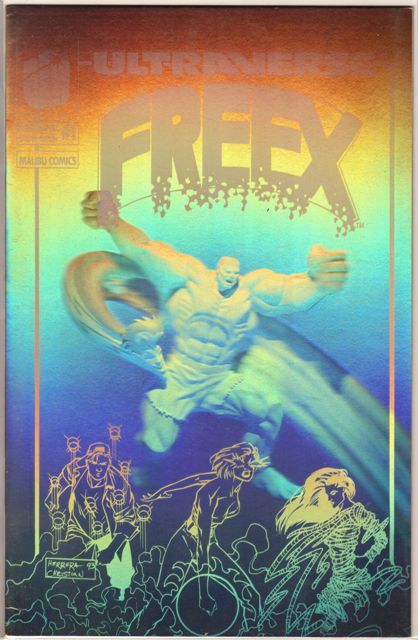 Still kicking myself for that one.